Whether you are stretching up or just want a great look, our Darkside black acrylic spiral is a real stretching essential. This stretching spiral is great value for money, combining a light, comfy feel with gorgeous looks. 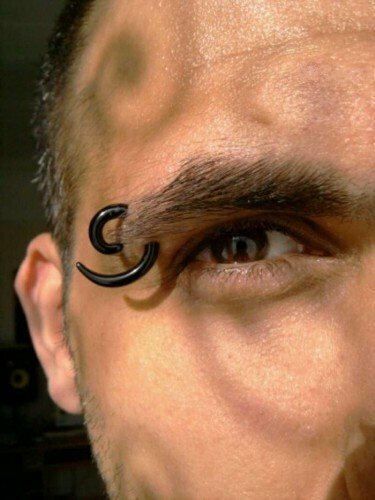 This black acrylic spiral is ideal for quick, easy stretching. 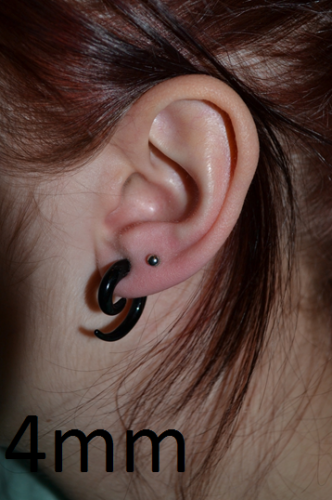 It has a smooth taper and glossy surface that slides gently through the piercing. You can use this lightweight spiral to stretch as slowly or rapidly as you like - plus it looks great while you're between sizes. These are awesome to stretch with and lightweight. Otherwise, awesome all round, Defo recommend them. Bought this as i'm trying to stretch a 6mm tunnel up to 8mm and didn't want to spend too much money (i have loads of 8mm+ things!). this is perfect - light-weight, smooth and easy to fit. Might need some O rings to hold it in place, but a brillian little thing for the cost. This product looks really good, I got it in 3mm and even small it still looks good! Very good value for money, delivered quickly. Excellent customer service too as they communicated very well with me when I had a query. 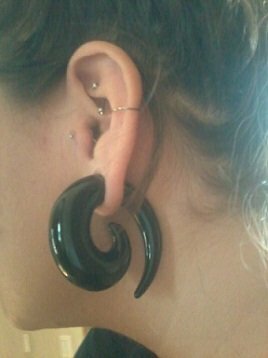 after switching over to these my ears were perfectly healthy again within days and I have sucsessfully stretched up many sizes using these spirals. I get loads of compliments on them and I love the look and feel, plus they're extemely lightweight. 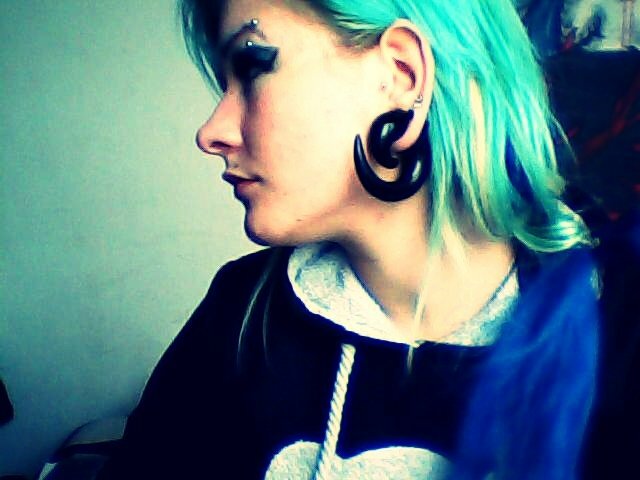 These spirals are great - comfortable and so lightweight for their size! Highly recommended. By Meagan Rebecca from North Carolina, U.S. I have used these many times while stretching my ears and have just bought another to stretch to 16mm. They look great to wear too :) love them!!! I just got one of these in the post today and i LOVE it :) Very happy! This site is awesome!! Thank you!! I was reluctant to stretch past 10mm but I seen these and couldn't help my self. They got delivered so quickly and they look awesome in my ears (even though I've still only got them half way in for now, don't want to rip my ear.) Great price and fantastic quality as always.